Hi everyone, Katie here! Today I wanted to share with you guys this layout I made. My absolute favorite "go-to" adhesive for securing my photos is my QuickFix Adhesive Runner. Helmar also makes great Acid free glue that is good for photos and paper, but I love how easy and mess free it is just to use the tape runner. As I was working on it, I decided what it really needed was a bit of bling along one side of my road trip paper. so, I grabbed both my gems, and my Helmar Gemstone Glue to adhere them onto my layout. The Helmar Gemstone Glue is perfect for using on clothing and fabric, but it also works really well on paper too. I like the fact that it doesn't cloud the back of the gemstones like other adhesives do. Thanks for stopping by today, I hope I've inspired you to use some gemstones and bling things! If you didn't know, the helmar gemstone glue is washable!! I'm hoping to use it on some fabric projects soon. I know it's barely October, but it's about this time every year that I start thinking of Christmas presents. The last several years I have made handmade ornaments for friends and family. This year I'm making these embellished monogrammed ornaments from drop cloth material. I first started by cutting a few patterns for my letters and the flower on my Silhouette. The font is Aharoni and the flower is the peony blossom from Samantha Walker. I traced each of these with a pencil onto drop cloth and then cut them out. Now using a Styrofoam plate I poured out a good amount of Helmar Fabric Stiffener & Draping Liquid. Using a foam brush I placed the letters on the plate and pounced the stiffener into the fabric. Doing one side and then flipping it over and doing the other side making sure you get a pretty even coverage. Once I covered each of them with Helmar Fabric Stiffener & Draping Liquid I placed them on a piece of wax paper to try overnight. The letters and flower in the morning were very stiff and I was so happy with the results. I decided to finish the letters with a little hand sewing around the edges. I used a paper piercer and a push pad to pre-punch the holes. I threaded a small needle with pink embroidery floss and did a simple running stitch. I wanted both sides of the letter to have a clean finish so instead of tying a knot I left a small tail and glued down the ends with a little Helmar Craft & Hobby PVA Glue. I put a dot where the threads ended and smoothed them down. The Craft & Hobby PVA Glue dries clear and I got just the look I was wanting to achieve. I embellished with the stiffened flower and bow of bias tape and finished it off with a hanger of baker's twine. You can see how I created the ombre effect on my letter A by visiting my blog: www.nstark.typepad.com. Here in Australia Spring has already started and the sweet scent of Jasmin drifts in the warm air. People are dusting themselves off and socialising a little more and what better way to do that than by hosting a lovely afternoon tea. Haha sounds a little unrealistic to some but afternoon teas are still hosted it's just that most of us end up meeting at a coffee shop! My lovely mother still hosts afternoon teas with her friends, they take it in turn so I thought I would help her out this month and make up some pretty napkin rings for her. Paper rolls - enough for however rings you would like to make, Helmar Fabric Glue, wide ribbon, scissors, narrow ribbon and braid, artificial flower and decorative center, paper of choice and a pretty piece of lace. Firstly spray clean your paper rolls with a little alcohol just to kill any germs and freshen them up. Cut them to the size that you require, I used tp rolls (definitely spray cleaned) and cut them in half. Cut two strips of your decorative paper for each roll, they need to be approx 2cm wide and long enough to fit around your roll. I used G45 Botanical Tea paper for mine. Cut along one edge of the paper with some fancy scissors or a punch if you have one. Attach the paper strips to each edge of the roll using Helmar Fabric Glue, yes it will hold perfectly well, leave a hang over of approx 1 cm. Run a bead of Helmar Fabric Glue around the middle of your roll and attach your ribbon keeping all joins in the same area. Secure the end of the ribbon with a little more of Helmar Fabric Glue. Once this is done you can attach your narrow ribbon (I used white organza) and trim of choice in the same way. Apply some more Helmar Fabric Glue to the front of your roll (where all the joins are) and attach your lace piece, I used a beautiful Venice Lace Trim from Tresors de Luxe for this. Now you can glue on your flower and flower center and then you're done. Just to add a little more colour the the table I decided to take an old doiley and some pink satin fabric, I very sparingly dabbed a little of the Helmar Fabric Glue on a few spots under the doiley and attached the satin, carefully triming around the edge. The satin can then be removed once it has served it's purpose. Some plain white china and a lovely bouquet of pink lillies and the table will be all set. Thank you so much for stopping by today and I hope you liked this simple DIY. For those that enjoy giving crafty gifts this would also be a lovely way of decorating some rolled fabric pieces for your friends. Hi Helmar Fans! Cathy hosting the blog today and I have a super simple project to share with you that I created for my home! First, I started with a wooden plaque, a piece of printable burlap, some black paint, a clip off of a clipboard and a brag card. I ended up changing my mind at the last minute on the card, so you will see a different result in the end. The one you see here was just too dark. I painted the plaque and added a blue chevron print to my burlap! Here's where I changed my mind and went with some Simple Storie papers! I glued the burlap to the plaque with my trusty Helmar Quick Dry 450 adhesive and also used the Helmar 450 Quick Dry to glue the clip on. After I had all my paper layers just how I wanted to them, I started adding dimension with Helmar Zap Dots. I love the dimension you can get with these and they are so sticky that they will hold just about anything! 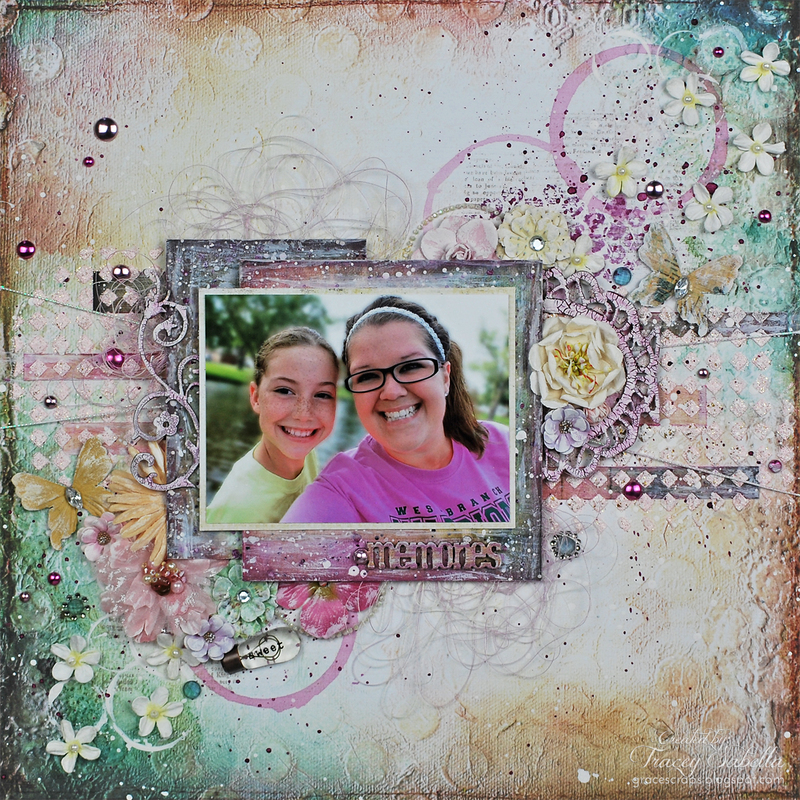 Here is my finished my plaque with all the fun layers! All of the little details, like the twine and little bitty flowers were adhered with Helmar Quick Dry 450 Adhesive. In the next two photos you can see the dimension and layers that using Helmar Zap Dots can give you! Thansk for joining us today at Helmar! Some crafters think that clear albums can be tricky, but don't let that scare you! Helmar adhesives are perfect for creating something great without your adhsive showing. If you like demension but don't like the pop dot to show through, check out Helmar Liquid Scrapdots. You can add as much dimension as you want and need AND it dries clear! If you have done clear albums, show us! We would love to see what you did! Hi everyone, Sandee here, with a journal page that I created using a water tearing technique which gives your paper some interesting textured edges. To create an image like I did, paint a line of water along the piece of paper where it is to be torn. Leave it for a couple of minutes to sink through the paper and then tear along the wet strip. The tear will follow the water soaked paper, making it possible to tear more precise shapes. Another fun journaling tip is to create pockets on your page where you can slip in secret journaling or just a date tag like I did here. I made this pocket by adhering down a layer along the top of the torn paper thus allowing my tag to easily be pulled out. Next, I used the same water technique to create my butterfly. I made 2 of them because I wanted to add some dimension. The first butterfly is fixed to the journal page with my Helmar Super-Tac Glue which I also used to glue down all my base papers with. Then I used my dimensional Helmar Liquid Scrap Dots to give the butterfly some lift under it's wings. I don't like a lot of dimension in my art journal book so I really appreciate the ability to get as much or as little lift as I want with the Liquid Scrap Dots. For me, one of the secrets to being artistically happy is having reliable, dependable products like Helmar to work with! Several months ago I showed how my youngest helped me make a hand print canvas to hang on the wall in the master bedroom. I thought it would be fun to have my other son help contribute to something to hang on the wall. The "is magical" part was a little too small for what I ended up doing, but I love that this is what he chose to write. I took Helmar 450 Quick Dry Adhesive and went over the top of the cursive word love. I chose this adhesive because let's be honest, I'm rather impatient and wanted it to dry really fast. I ended up using two coats of paint to get a good even coverage and to also get in all the little areas around the glue. When dry I added metallic gold rubons to the top and added a vellum rose to the center of the "o". The vellum flower was glued on using more Helmar 450 Quick Dry Adhesive. The last finishing touch was adding a clear rhinestone to the center of my vellum flower with Helmar Gemstone Glue. A very simple canvas with a lot of meaning! Here it is hanging on the wall with quite a few other items I've added since that initial picture back in June. I think the wall might be finished . . . you never know. I still have a lot more to do in this room, but it's coming along nicely, one project at a time. Thanks for stopping by the Helmar blog today! Hi everyone Monica here with my 1st crackled look project and I am so excited how it turned out! Thanks so much for stopping by everyone! Hi everyone! It's Tracey here to share my final project as a regular Helmar designer. I'll be popping back in now and then to share projects as a guest designer. to adjust and straighten my adhered elements. I've now had the opportunity to work with most of their fabulous products. Although Helmar 450 Quick Dry Adhesive remains my favorite, I've been delighted with all the Helmar products. 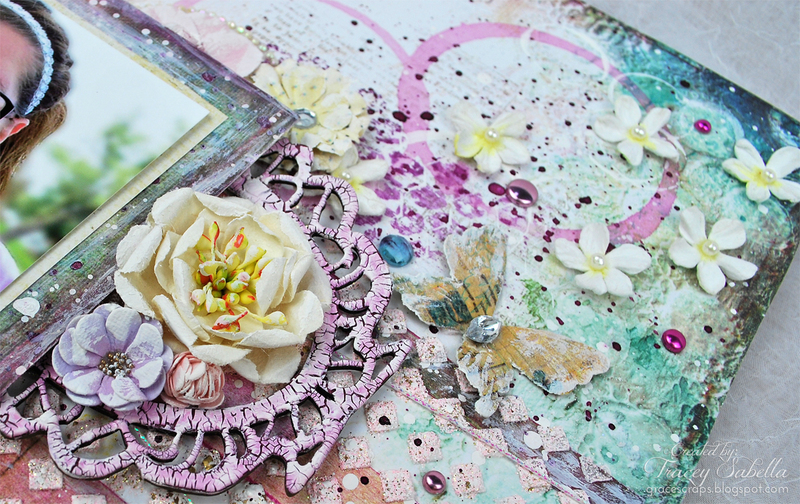 Today I've created a mixed media layout. Of course, I've featured Helmar 450 Quick Dry Adhesive. Our niece has always adored our son, Joseph. When he married Rachel, that adoration extended to our beautiful daughter-in-law as well. Here's a fun double selfie from Labor Day. Those sweet smiles show just how much they adore each other. I used Helmar 450 Quick Dry Adhesive to adhere many of the elements on my layout, but I'm showing the process I used for this piece of crackled chipboard. Helmar 450 Quick Dry Adhesive holds very well, so there is no need to apply glue to the entire piece, I just spread it over the oval center portion. I included this photo so you can see just how textured the background is where I adhered the chipboard needing a very strong adhesive, indeed! Here's a close-up of this corner all finished. The Large yellow flower is positioned using Helmar Liquid Scrap Dots. The remaining flowers and butterfly are adhered with Helmar 450 Quick Dry Adhesive. 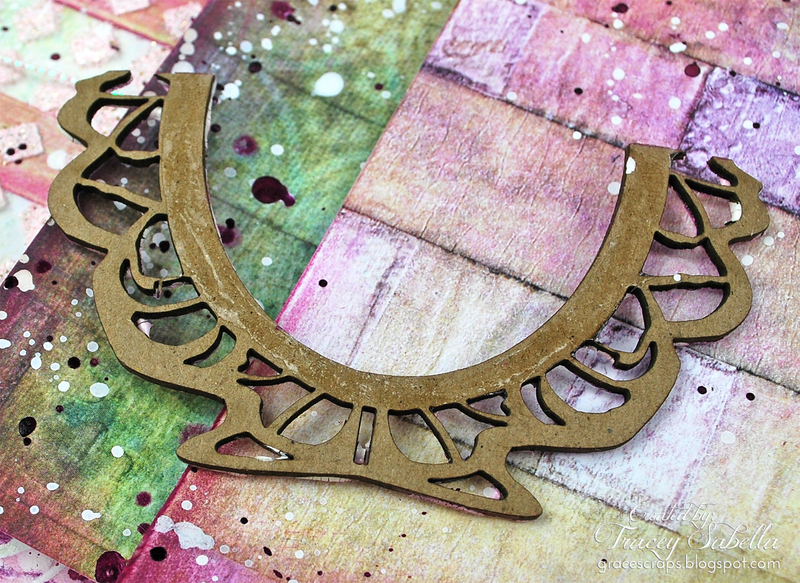 This gorgeous Leaky Shed Studio chipboard flourish is also adhered with Helmar 450 Quick Dry Adhesive but this time to one of the paper mat layers. I have found that using adhesive under the clear portion of these clear light bulbs often bubbles and shows through. A nice dallop of Helmar 450 Quick Dry Adhesive behind the base holds it securely in place with no chance of visible bubbles forming. All flowers are adhered with Helmar 450 Quick Dry Adhesive. A close-up of the chipboard portion of my title. I raised and adhered the photo mats in two layers using one layer of Helmar 1/2 inch round Zapdots on the lower portion and two Zapdots stuck together under the higher portion shown here. To adhere the thread. I spread Helmar 450 Quick Dry Adhesive under the mat and tucked the thread into it. The thread showing is not glued down, but securely adhered under the mats. The mats are colored with Pan Pastels and to fix the color, I spritzed with Helmar Crystal Kote Fixative Spray. I hope you've been inspired to try out Helmar 450 on your next mixed media project. 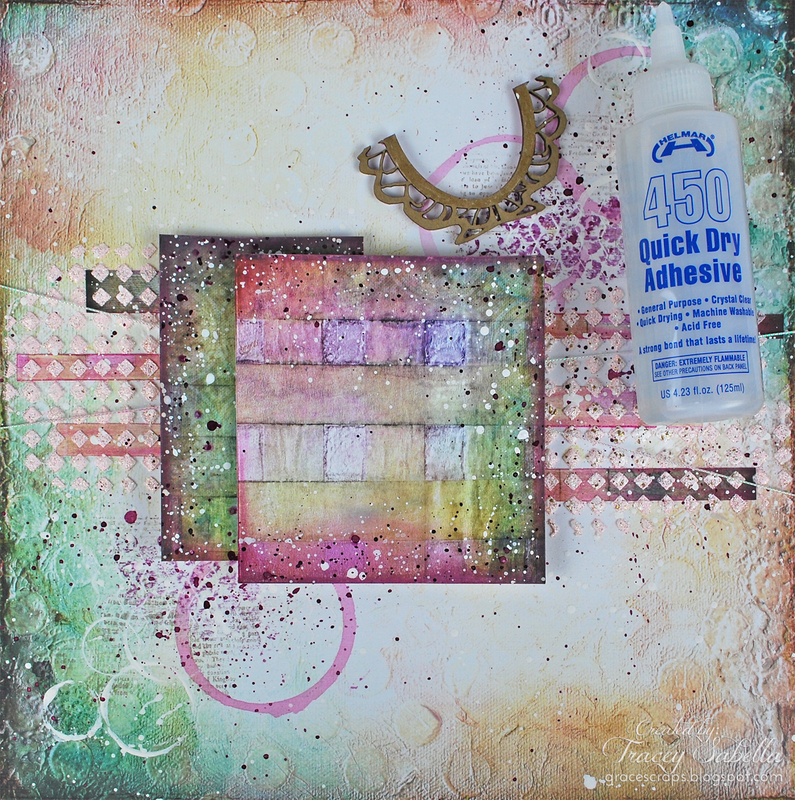 Did you know craft adhesives can be used in mixed media art journaling? Most people think their paper or embellishments should only be adhered to mixed media projects using gesso or gels. I have found using those as an adhesive doesn't guarantee a secure bond, and items tend to eventually fall off the page. 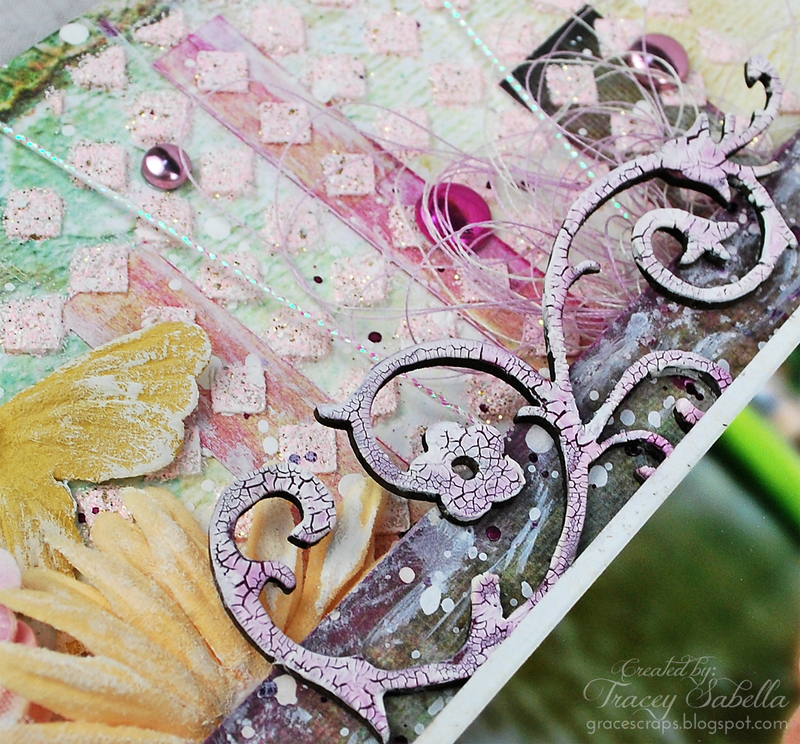 I actually prefer using Helmar adhesives to secure my embellishments to the page. 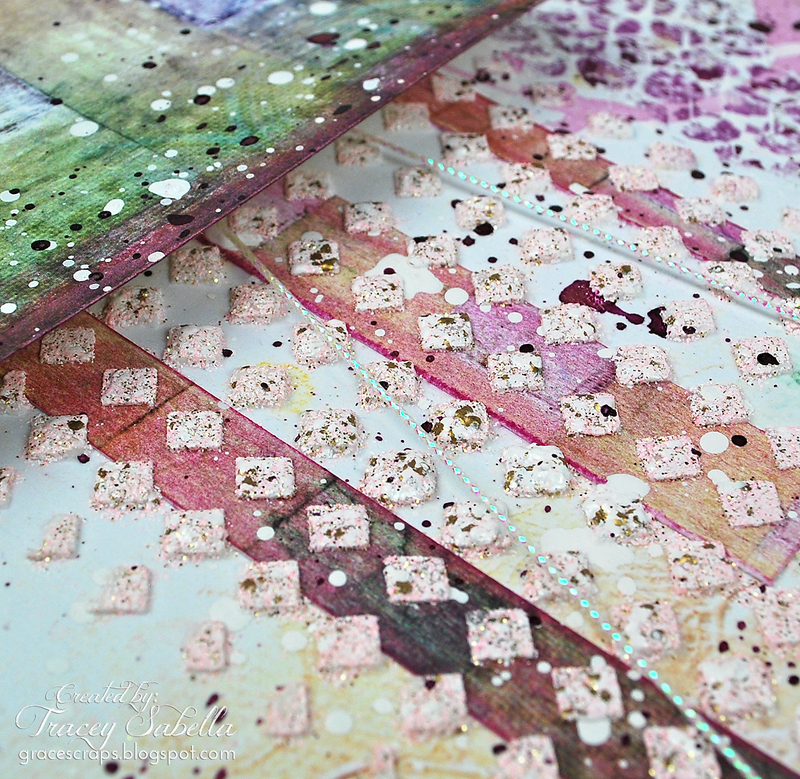 Today I will show you just one of the ways I use Tacky Craft Glue in my journal. 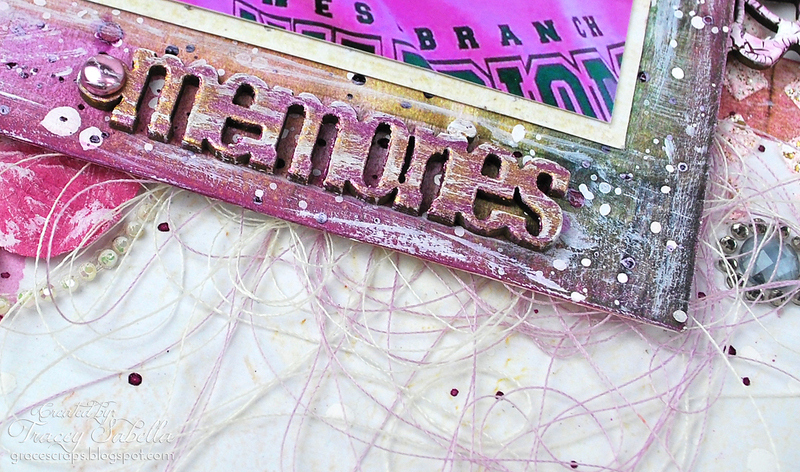 As you know when creating any mixed media projects a lot of wet mediums are used. With this you want to make sure to use the very best adhesive that will bond well on those various mediums. 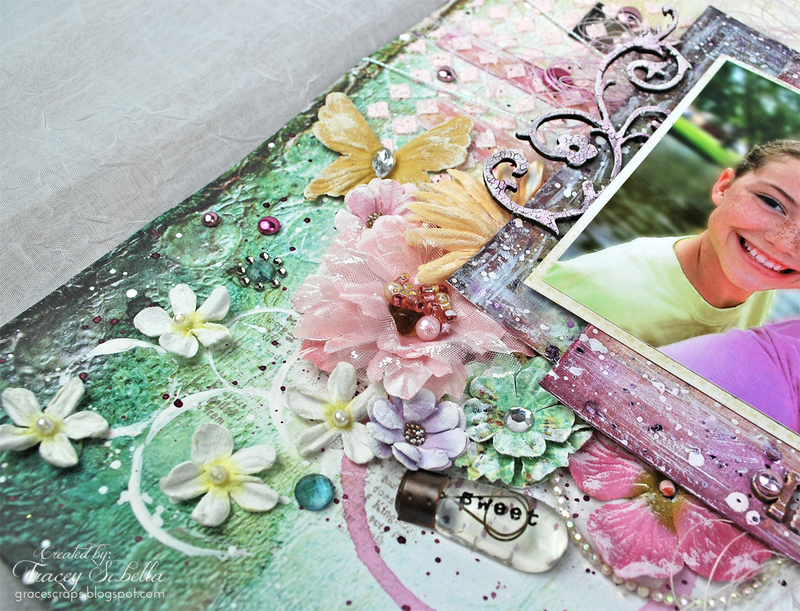 For this journal page I used my Tacky Craft Glue, because it bonds well and dries clear. After you have added your base of textures, mediums, etc, now it's time to begin adding embellishments to the page. Here I have two butterflies printed on cardstock that I'll adhere to each page. Add a modest amount of adhesive to the back of each butterfly then spread it evenly then adhere. Note: the film strip has already been attached using a tiny staple to prevent time wasted on drying. The film strip is made of medium acetate and can't be heat dried. Next give the top of each butterfly a good coat of the same adhesive. This will serve as a great sealant being that each of these butterflies are printed on basic cardstock. Next I spread a little adhesive on my craft tile, this will be used to adhere my words and embellishments. I will use a small brush to spread the adhesive over my page. And finally tiny spots of Tacky Craft Glue is added over both pages to adhere pearl bling. And now you have a completed mixed media journal page.